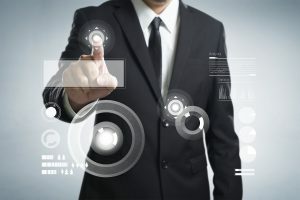 How does technology support business growth? The short answer is that it can support business grown in just about any way you can think of. Technology has become a way of life today, cutting across business industries and markets. The power of cutting-edge technology, in whichever way it may be relevant to your business, makes more things possible than you may know. As you work on growing your business and expanding your organization, technology will support you in numerous ways. Let’s look how technology can support you with different aspects of business growth. As General Eisenhower stated, “Plans are irrelevant, but planning is essential.” This war time advice is also relevant in the business world. This means you should have clear growth objectives and be able to measure performance against your goals. As you grow your business, you set targets for metrics such as sales, profitability and customer satisfaction. That’s where technology can support you. Consider adding/upgrading management systems to your business with tools like dashboards that keep your management abreast of key performance indicators, relevant financial information, etc. This type of easily accessible information is a common and crucial aspect of how technology helps business leaders maintain their direction and pace for business growth. Companies inherently witness more delegation and coordination as they expand. More people are hired, more locations are added, more products and services are marketed and so on. As business author, Laura Runham, notes on Microsoft’s blog: Smart companies use technology to enable their managers to better coordinate and delegate business activity. For instance, with the right combination of teamwork application and mobile technology, managers can coordinate activities without getting bogged down by what their subordinates are doing on a daily basis. Mark P. McDonald and Andy Rowsell-Jones of Gartner, Inc., a leading technology advisory company, give a nice example of how technology supports a big/growing business. The example they share is of the biggest cruise ship in the world, the Oasis-class of the Royal Caribbean. They have over 5,000 passengers on board. But the problem with this big experience was that if a cruise ship feels too large, the passenger’s experience takes a hit. So Royal Caribbean employed the clever use of technology to solve this problem. First, they set the goal of removing queues on the ship. They used a combination of smart cards, shape-recognition cameras, and almost a thousand wireless access points, among other things, to eliminate lines from onboard activities. This is a great example of how technology can support business growth and help organizations sustain larger operations efficiently. Royal Caribbean could have just said that the large-scale operation of their behemoth cruise ship was bound to be inefficient after a certain threshold. Instead, they sought a solution and technology was there to support the best minds working at this cruise company. Their large-scale business operation was made practical and sustainable thanks to technology. Hence they’re able to operate the world’s grandest cruise ships at capacity. Kaan Turnali from SAP talks about how digital transformation isn’t just a technology makeover. Rather, it’s a business revolution. We live and breathe technology, it’s a way of life above anything else. So it makes sense why it has become such an important element that supports business growth. 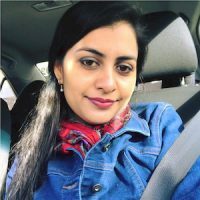 Fatima Mansoor is a writer at Aepiphanni, a small business operations and strategy consultancy that exists to help small business owners CREATE | DESIGN | BUILD extraordinary businesses. She specializes in business & entrepreneurship, digital marketing, and health & fitness. Her focus is on creating compelling web content for small and medium businesses form diverse industries. She mostly writes for entrepreneurs and marketing agencies across the US, Australia and UK.